Below is pictures of the transmission site at St Lukes High School, Barrhead for community station Pulse 98.4 FM which transmits with 25W. 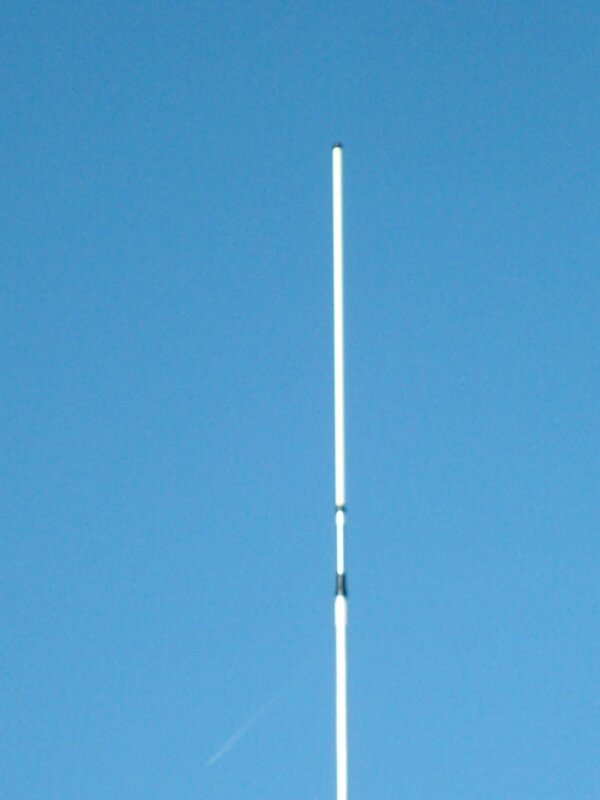 Seen is the vertical co-linear type transmit aerial mounted on a pole of around 20ft. 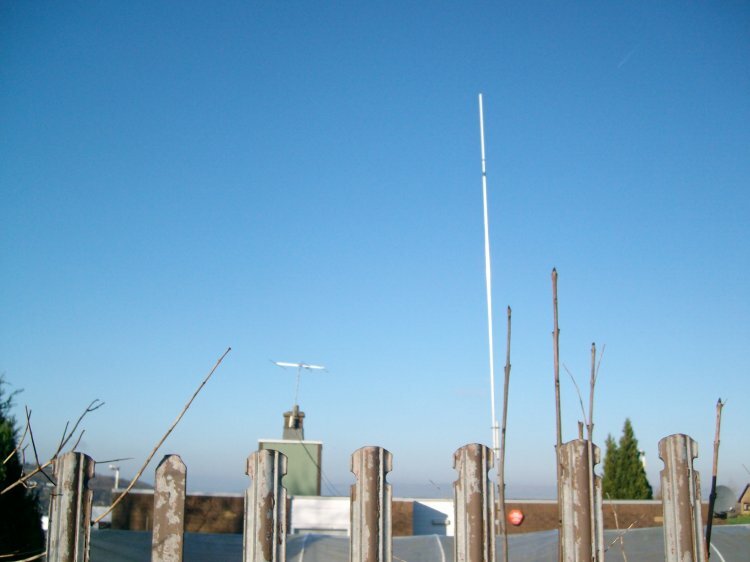 There is also a horizontal band II Yagi on the building, however it has been there for years before the co-linear was erected on the site. I don't believe it is used for the broadcasting side of things. Pulse 98.4 launched on 28th July 2009. 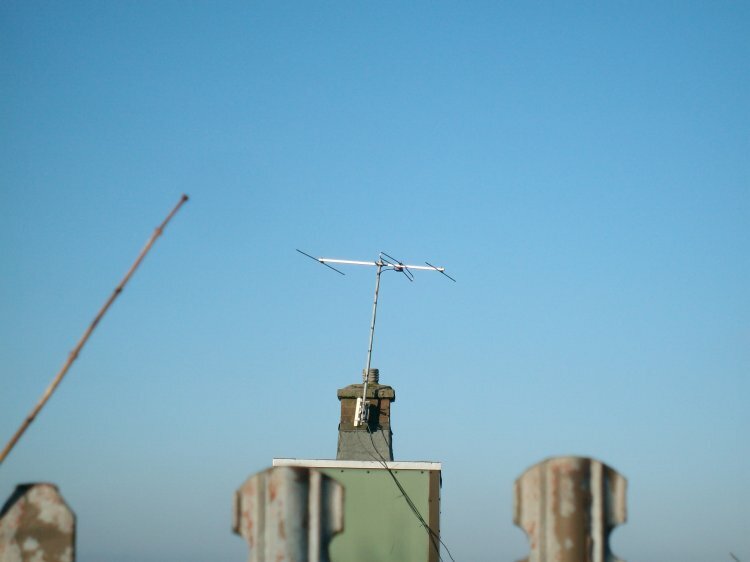 The original transmit aerial was directional. 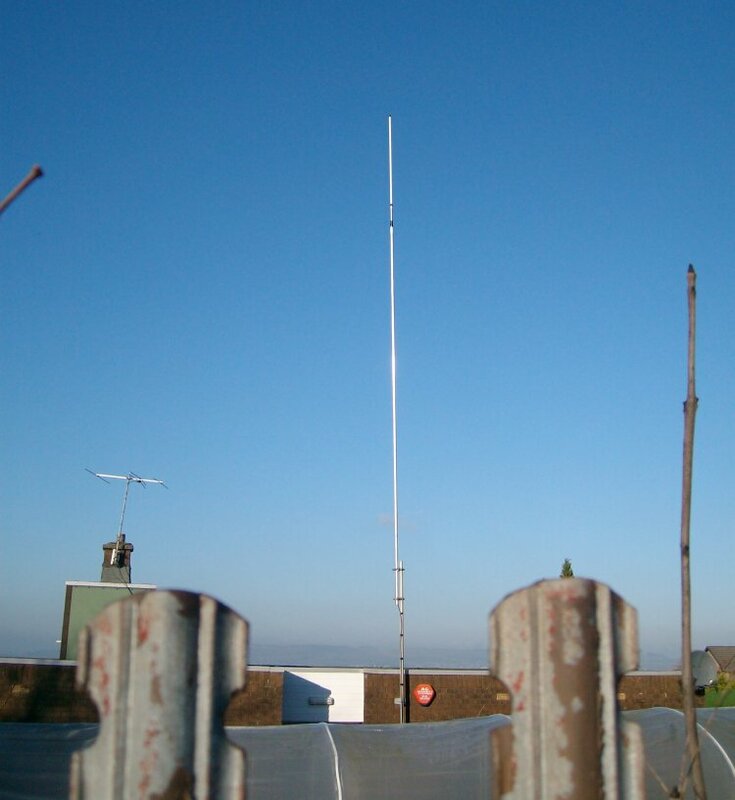 The current omni directional aerial was brought into use in December 2016, according to Ofcom data.